This is going to be a busy week! After running on the treadmill Saturday morning and swimming at Alyssa's amazing outdoor pool (really, it's spectacular), I've been trying to get in workouts where I can before taking off Thursday to travel to Maine. 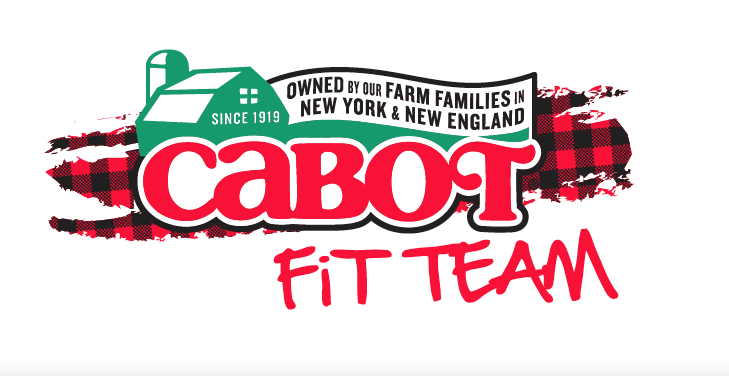 I'll be running the Beach to Beacon 10K Saturday will my fellow #CabotFit teammates. This is my second year as a member of this awesome group of blogging runners and RDs, so I can't wait to see what the weekend will bring. Cabot has already hooked me up with an array of goodies and I know there's a beer and cheese tasting on the horizon, too. Who could ask for more? On top of that, once I land safely in Chicago post race, I'll go directly to a work event downtown, where I'll be taking temporary residence for the duration of the conference. It's a glamorous life, sometimes. That will, however, throw a wrench in my training plans. I've got Iron Girl Aug. 9 and Pigman 70.3 Aug. 16, so keeping up my miles in all three disciplines will be essential but also challenging. My plan is to take advantage of the ocean side vistas in Maine and swim in the ocean one of the days. I'd like to get in a bike workout when I come back Sunday before I start the working thing. Since I'm staying at a hotel downtown, I'm relying upon the on-site gym for a bike, the Lakefront Path for running and perhaps a hotel pool for laps. The thing is, you never quite know what to expect from a hotel gym until you're there. The photos can be rather deceiving. So I'll bring all the gear and hope for the best. And just because I've been documenting my saga for a while, Suzie slice has new tires, a beautiful set of red Schwalbes. Which flatted out this morning prior to my trainer ride. Sigh. I should buy stock in tubes at this rate. Otherwise, I'm hoping a week of missing my bed and my training plan won't come back to bite me. Time to rock the #TDB2B10K! You already got another flat? WTF?